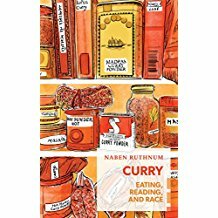 Naben Ruthnum’s first monograph, Curry: Eating, Reading, and Race, is a critically acclaimed venture into memoir, literary criticism and sociology. A first-generation Mauritian-Canadian, Ruthnum spent his childhood and teen years in Kelowna, British Columbia. He earned an MA in English literature from McGill University in Montreal. His thesis, available online, is entitled Haunted Artworks: Oscar Wilde and the British Ghost Story. 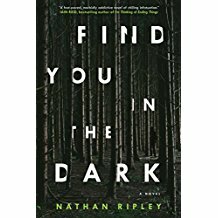 Ruthnum’s first novel, a psychological thriller called Find You in the Dark, is published under his pen name: Nathan Ripley. Ruthnum has written on books and culture for several Canadian newspapers and magazines. His crime fiction has been published in well-known journals. His short story, “Cinema Rex,” originally published in the literary magazine The Malahat Review, was the winner of the Writers’ Trust of Canada / McClelland & Stewart Journey Prize for 2013. Ruthnum lives in Toronto. 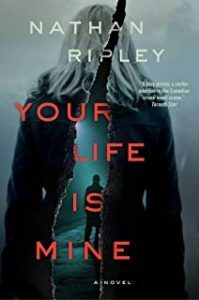 Toronto: Simon & Schuster Canada, 2018. Toronto: Simon & Schuster Canada, 2019. Toronto: Coach House Books, 2017. Curry is a dish that doesn’t quite exist, but, as this hilarious and sharp essay points out, a dish that doesn’t properly exist can have infinite, equally authentic variations.By grappling with novels, recipes, travelogues, pop culture, and his own background, Naben Ruthnum depicts how the distinctive taste of curry has often become maladroit shorthand for brown identity. With the sardonic wit of Gita Mehta’s Karma Cola and the refined, obsessive palette of Bill Buford’s Heat, Ruthnum sinks his teeth into the story of how the beloved flavour calcified into an aesthetic genre that limits the imaginations of writers, readers, and eaters. Following in the footsteps of Salman Rushdie’s Imaginary Homelands, Curry cracks open anew the staid narrative of an authentically Indian diasporic experience. “Cinema Rex” was first published in The Malahat Review. It won the 2013 Journey Prize. 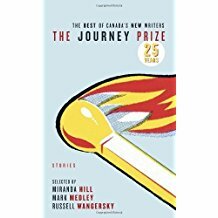 It appeared in The Journey Prize: Stories: The Best of Canada’s New Writers (Toronto: McClelland & Stewart, 2013), p. 123-156.